For those who love speed, their dream is to drive expensive supercars with speeds of more than 200 km/h on large roads, no matter where it is. However, not everyone can do this because, in fact, such driving requires a lot of special requirements and conditions, and it is also extremely dangerous for drivers and people around. Therefore, racing games are created to help players satisfy their passions about speed. 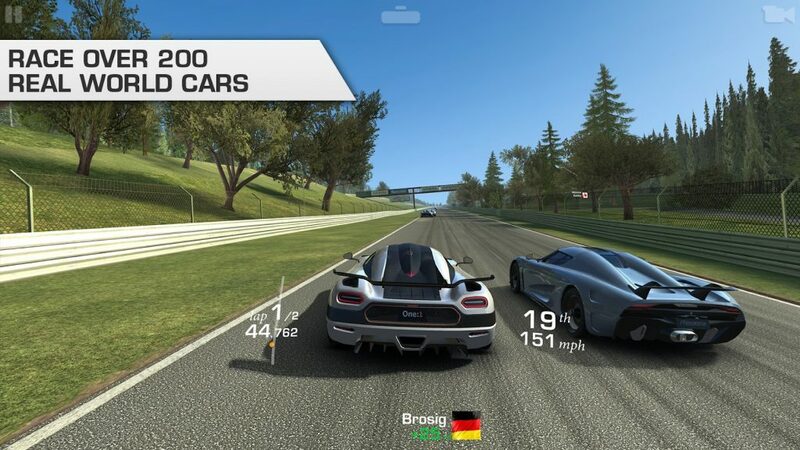 Besides Asphalt of Gameloft, Real Racing by EA is always one of the three most downloaded racing game series on Google Play and the App Store. 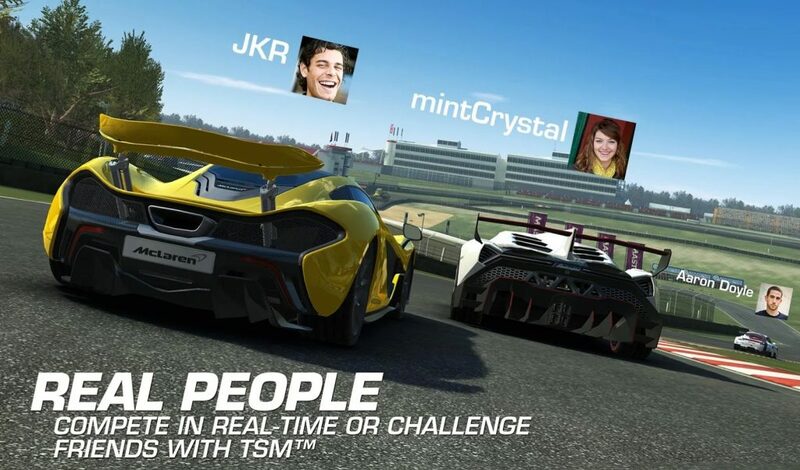 Unlike Real Racing 2 ($ 4.99), part 3 of the game is developed under the premium business model, allowing players to download for free and in-app purchases. The gameplay of these games probably doesn’t have many differences, so what are the special elements of Real Racing 3 (MOD Money) to become an Asphalt opponent? Is realistic Asphalt 9 graphics? Of course, the answer is “yes”. There’s no denying that Asphalt is one of the most beautiful and realistic graphics games on mobile. But it still has quite a lot of flashy effects, which makes me personally feel it reduces the practicality available. In contrast, Real Racing 3 does not have any excess effect during play. Cars, movements, and collisions are simulated from real life, giving you the most realistic driving experience possible. With crisp, detailed 3D graphics and high practicality, there is nothing difficult to understand when the game is more than 2GB in size (after the entire installation is complete). The sound of the game is also very impressed with the sound of the engine, the sound of tires burning on the road makes you feel like you’re on a real track. Despite being an old game (released on February 28, 2013), the publisher has consistently brought players updates, which shows that EA is very interested in the player’s experience and try to create new and unexpected things. In racing games, I often try to overtake rivals by cheating, ie causing an accident for them to get them out of the race in a number of ways, such as ramming their bodies, squeezing their cars out off the track. However, you can’t do that in Real Racing 3. Your opponents move safely and your impact on them is not much. You still break the car if you collide with walls or fences, and this makes you have to maintain your car regularly. Control of Real Racing 3 is quite special, it allows you to customize the speed and acceleration of the car with virtual keys accelerating and handbrake. Tilt your device left or right if you want the car to turn to the direction you want. In addition, you can also change the position of the steering wheel on the left or right of the screen to match your driving habits. Real Racing 3 has the familiar mode of a racing game. When launched, RR3 has TSM (Time Shifted Multiplayer) mode. TSM works by recording the journey and race time of other players. When you join PvP mode, TSM simulates that journey and is done by AI. However, this mode does not get support from many players. They complain that they want a normal PvP mode so they can race with friends and other online players instead of pre-programmed AIs. You can participate in tournament modes to compete with other online players around the world. When you start the game, you are allowed to “borrow” a Porsche 911 GT3 RS to perform some basic guidelines. After that, you can buy one of two Nissan Silvia S15 or Ford Focus RS. It was not a bad start. 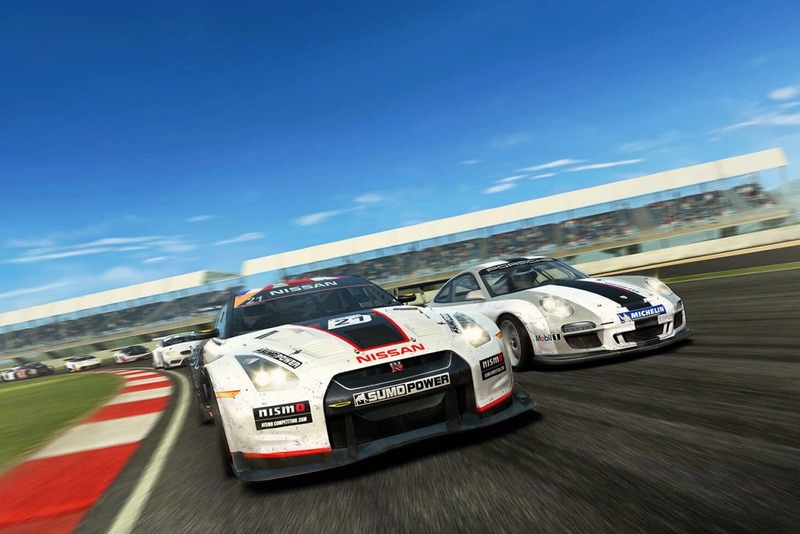 If you love cars, Real Racing 3 is a great game for you to satisfy your passion. The game has more than 100 realistic simulated cars from iconic brands like Ford, Ferrari, Lamborghini or Mercedes-Benz. You can buy many cars from many companies like SPADA CODATRONCA TS, McLaren 650S GT3, NISSAN POWER GT GT-R GT1, MAZDA RX-3, LAMBORGHINI AVENTADOR LP 700-4, FORD GT FIA GT1, FERRARI 458 ITALIA,… Unlock and conquer every race with your favorite car! Sometimes you can’t afford to repair a broken car or you want to buy an expensive car but you don’t have enough money. Don’t worry. 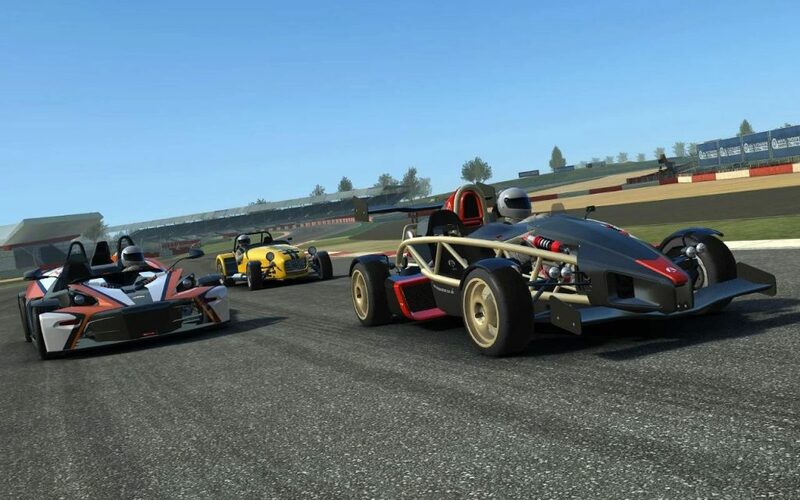 Real Racing 3 MOD can be the perfect choice for you. The game automatic increase money and gold when you spent money, so you can buy your favorite supercars. Attractive gameplay, stunning images, realistic graphics, and great processing capabilities are what I want to talk about this game. Although there are some inconveniences in the premium business model, however, Real Racing 3 is still one of the best traditional racing games at the moment. Besides, you can try some similar games like Asphalt 8 or GRID Autosport. 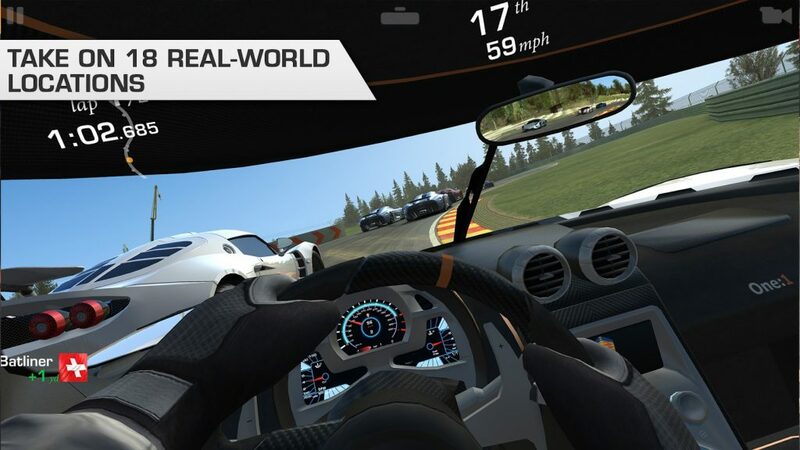 Real Racing 3 MOD APK is ready to download! 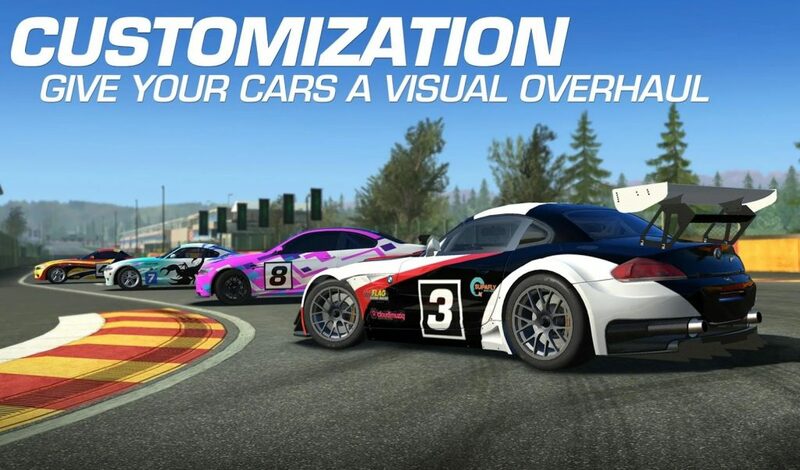 Depending on your needs, you can download Real Racing 3 MOD APK or Real Racing 3 Original APK. Or install from Google Play / App Store if you want.